Photo Provided A FirstEnergy crew watches a drone take off for an inspection of nests of protected birds of prey. PARKERSBURG — Aerial drones are being used by the electric company to inspect the nests of protected birds of prey. 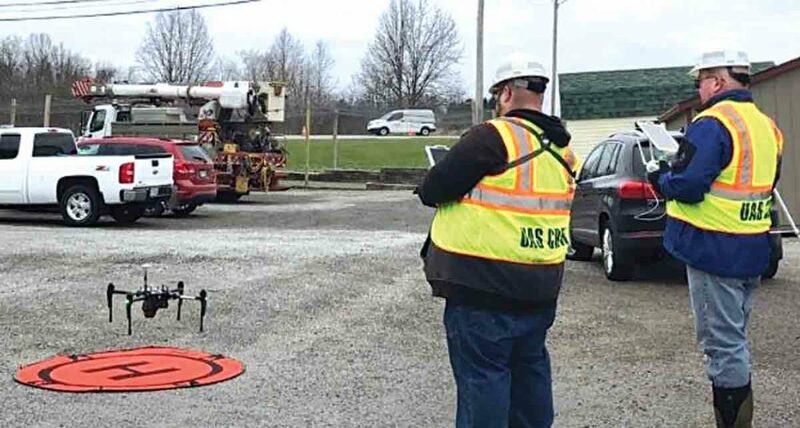 The drones offer a fast and safe way to survey locations where the birds have started nesting on utility poles and other electric equipment, without disrupting the birds by having a line worker inspect the nest, FirstEnergy Corp., parent company of Monongahela Power, said. Ospreys and eagles often seek tall structures, including electric transmission towers and poles to build nests that can be up to 3 feet in width. These nesting habits often place the birds near energized electrical equipment, jeopardizing their well-being and potentially causing power outages. A typical bird nest inspection requires a line crew to go to each nesting site to inspect the nest. This method is not only unsettling to the birds, but time consuming for the crews. Because birds of prey are territorial, FirstEnergy’s FAA-licensed drone pilot maintained a 330-foot buffer between the drone and nests. The drone was able to capture high-resolution images inside of the nests, and the company’s environmental support staff worked with line workers to determine the appropriate course of action based on the footage. FirstEnergy drone pilots have completed seven osprey and eagle nest inspections and expect that number to increase significantly over the next year. By using a drone, each nest inspection was completed within 15 minutes. If the drone observed a nest without eggs on a utility pole, a line worker in an aerial bucket truck confirmed it was empty and removed the nest. Specialized equipment also was installed to divert and discourage ospreys from nesting on the poles in the future. Disturbing or removing the nests can be a complicated task due to environmental regulations. In most cases, an active nest containing eggs cannot be disturbed. 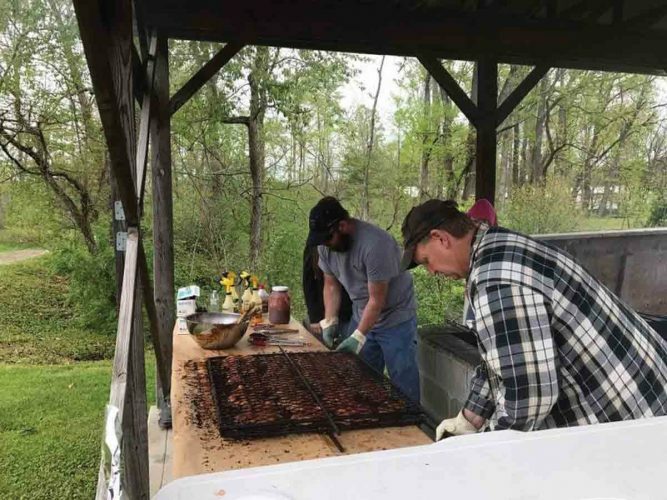 Environmental scientists and utility leaders at FirstEnergy will work with wildlife officials this fall and use the drone footage to identify and build new nesting platforms for the birds far away from electrical equipment.